Looking for a literary name with ties to Disney and style to spare? Consider the dashing Dashiell. Our Baby Name of the Day goes out to Lyndsay’s son. Back in 1894, Richard and Anne Hammett welcomed son Samuel. Anne came from an old Maryland family, and her maiden name became Sam’s middle. Their son grew up, launched a writing career, and dropped his traditional first name. We know him as detective novelist Dashiell Hammett. Sam grew up, promoted his middle name to the first spot and became the detective novelist Dashiell Hammett. 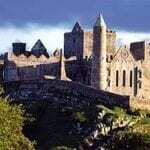 The surname started out as de Chiel, a family of French Huguenots who moved to Scotland, then England, before finally settling in the New World. The family also included a US Congressman, as well as other civic leaders. American Civil General George Dashiell Bayard may have been a cousin. Even in a distinguished family, we remember Hammett best of all. He pioneered what became known as hardboiled detective fiction. Hammett’s characters – aloof, confident, tough – inspired more fictional heroes that you can count. Even if you’ve never read his novels, you know their names: Sam Spade, Nick and Nora Charles. For generations, Hammett kept his name all to himself. Fewer than five boys received the name most years during the twentieth century. That started to change in 1979. What explains the rise? Hammett died in 1961. In 1977, the movie Julia included Jason Robards as the writer. Robards won a best supporting actor Oscar for the role. The numbers remained small – 20 or fewer most years into the 1990s. Actor C. Thomas Howell gave the name to a son in 1997, but the former teen heartthrob kept a much lower profile by then. In 2001, Cate Blanchett welcomed her first, a son named Dashiell John. Blanchett put the name in the spotlight. The name rose in the years that followed. In 2004, The Incredibles gave us Dash Parr. We later learn that the schoolboy superhero’s full name is Dashiell. Besides the ties to the Disney-Pixar film and a few high profile births, the name fits two opposing trends. Dash is every bit as cool as Cash and a generation of brisk boy names. But say it in full, and the name fits with softer names for boys like Elijah and Sebastian. Together, the nickname and name make this a versatile choice for a child. No surprise that the name continues to rise. By 2015, 173 boys received the name – that’s not far behind the 202 births required to boost a name into the Top 1000. Alternate spellings Dashel and Dashiel are also seen. Very occasionally, the names are given to girls. Paul W.S. Anderson and Mila Jovovich welcomed daughter Dashel Edan in 2015. But overwhelmingly, this name remains literary, rare, and oh so very wearable. It makes a great choice for a son today, just under the radar enough. What do you think of Dashiell? 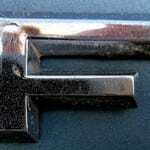 This post was originally published on February 20, 2010. It was substantially revised and re-posted on October 3, 2016. I know this is an old post but I am wondering what the consensus is, if any, to spelling Dashiell phonetically. This is our #1 name and though our Son will be called Dash, I do worry (for his sake) about the correct spelling being butchered. I was named Dashiell in 1948 after the author, Hammett. The story of the name mention above is verified in the Library of Congress. However, the pronunciation it says is duh SHEEL as do the Hammett family. My parents use alliteration in my full name by having the “ll’s” in each names. We are seriously considering Dashiell for our first born son. We prefer the three syllable pronunciation (Dah – Shee – Ell). We were also considering giving the little guy the middle name Miguel after his Grandfather. just curious what people’s thoughts are on the first and middle name “rhyming?” Is this a naming no-no? We kind of liked the flow that it created. Dashiell is great, and it is hard to go wrong with a name that honors a grandfather. But Dashiell Miguel … I don’t know. That’s awfully sing-songy. Are there other options, or is that really the only first/middle combo? The only other option for Dashiell would be Dashiell Paz which is Grandpa’s last name. 🙂 We wanted our son to maintain some of his Hispanic roots through his name. We are also considering Tiago (pronounced Chi – ah – go) as a first name with a more simple one syllable middle name like Shea or Sage. Oh, I love Dashiell Paz. Love, love, love it. Love the combined sound, love that it honors grandpa. How would feel about Tiago if his name were always pronounced with a T sound? I love Tiago, and both combinations are great – Tiago Sage, Tiago Shea – I’d probably say Sage, but either is fantastic. Except I can imagine he’d get tee AH go forever & ever. If that’s not a dealbreaker, then Tiago is a dramatic, but still classic, way to honor your roots. Thank you so much for the feedback. 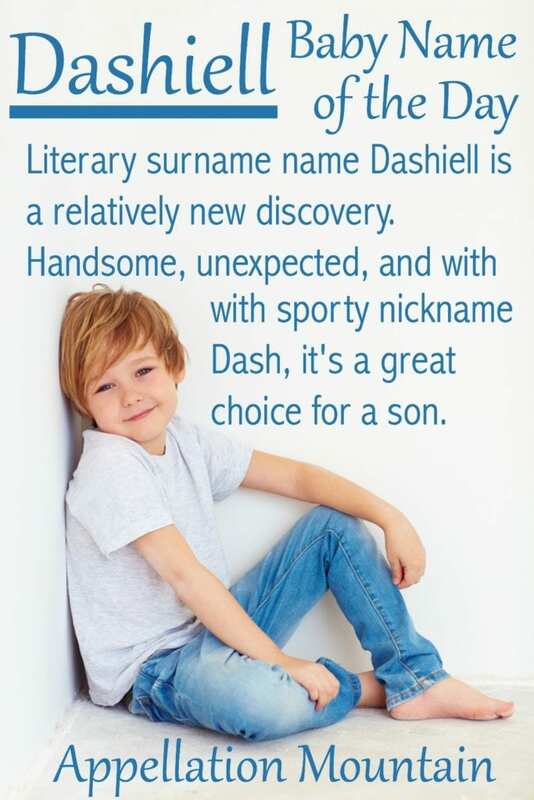 Dashiell is hubby’s first choice and he loves the nickname Dash. Dashiell Paz does have a nice ring to it and we might give future children the same middle name to keep it consistent and represent both sides of the family…just an idea. We already have a girls name picked out (Aylanie) and think that goes well with Paz too. Tiago with the “T” sounds is not a big deal at all. When I said “Chi” I kind of just meant the blending of the T into the I rather than two distinct sounds. Again, thanks for your input!! Love this site! A friend of mine used the same family middle for her son and daughter – I really like that connection. Tiago and Dashiell are both great names. I do love the nn Dash, though … is there any possibility you would Dashiell Paz and then Tiago Paz? While I love the sound of Tiago Paz, I do not love the initials T.P. I really like this name, but I struggle with the spelling. I prefer the sound of Dash-uhl, but don’t want to butcher the original spelling just to make it phonetic…that’s too close to cre8ive to me. However, I really like the sound. It might get stuck as a middle name because of this, but even then I don’t know if it would be Dashiell or Dashel. I’m loathe to say “Eww, trendy surname!” as I love, love, love Dougray and would use it. It might not have the exposure Dashiell does but it’s quite similar. No snark here. I’d say it Dash-ul too. I do like the name, though wouldn’t really use it myself. Dashiell is such a handsome and (dare I say it?) dashing name! I pronounce it DASH-ull. I’m very surprised that it’s not in the Top 1000. That’s definitely a plus! I knew it wasn’t popular, but I thought it was a pretty well-known name. I’m glad I was wrong! I thought it was well known, too, it’s definitely not! At least not where I live in California/Pennsylvania. Oh yeah, but several people have told me, “I know someone in New York who named their baby Dashiell”, so I think it’s fairly common there. Thank you so much for writing about Dashiell on his birthday! I showed this to my family and they loved hearing about it, I think my grandma liked that you said it “should stand the test of time”. Pronunciation is the only problem with the name, I use Dash-uhl… People have said it all the different ways you mentioned. I really hate all those other pronunciations. It didn’t occur to me before he was born to spell it differently, like Dashel, but that just doesn’t look right to me anyway. I’m so happy you covered Dashiell! I must admit that his name was inspired by The Incredibles. I also love the name Violet, think anyone would notice if I used that sibset? Violet and Dashiell go SO well together! I think your kids would eventually notice … but it probably wouldn’t be a problem. Of course, you’d have to resist the urge to dress them up in superhero capes for Halloween! And you’re welcome! I’m flattered that you shared the post. Are you kidding? Of course I shared the post! You do the best name histories ever, you’ve done a few of my family members, and I’ve shown them to all of them. They think it’s so cool! I think they would make a lovely sibset! I didn’t even catch the Incredibles reference until AM mentioned superhero capes, and even then it took me a second 🙂 I hope your lovely little boy had a wonderful birthday! This is such a stunning name! I prefer it to similar sounding names like Samuel. Its such a change! Hmmm, I’ve been saying da-SHEEL, but what do I know? Cool back story! I would have pronounced it dash ee EL, similar to Gabrielle. […] most popular name on this list, one famous Nora was a happily-married Hermione figure, thanks to Dashiell Hammett’s bestselling novel The Thin Man and the movie adaptation starring Myrna Loy. […] But some of the matches were just impossible – at least for me.